Plants have been shown in studies by the NIH and in Psychology Today to have a variety of positive effects on mental health. During the colder months where the days are shorter and we are forced inside for longer periods of time, plants can help ease the transition that often comes with depression for a lot of people. These are just a few of the benefits of simply having plants in your environment. One of the main functions of plants is the production of oxygen. Oxygen is considered a "waste" product as it is what is left when plants convert light energy into chemical energy. Most people can't afford "oxygen therapy," but we can afford a plant or two and may have a friend or family member willing to share. There are several that are easy to care for and can increase the oxygen output in your home. 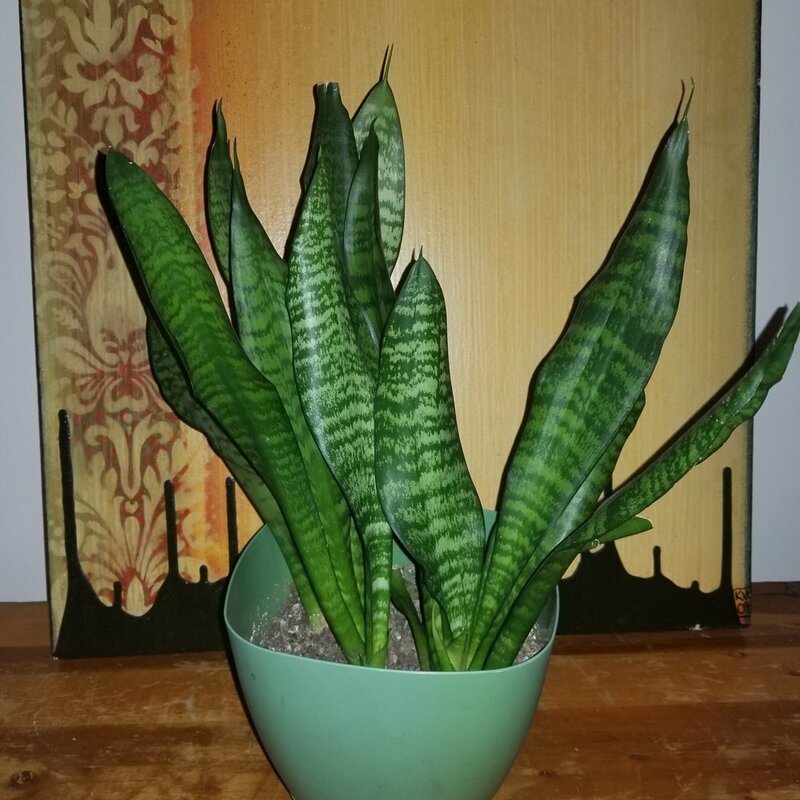 This plant enjoys bright areas and do not require direct sunlight. 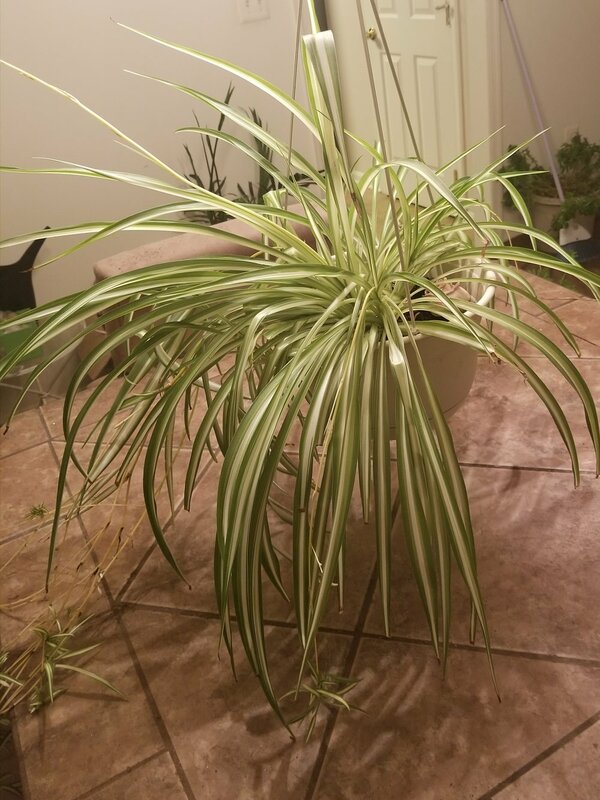 With minimal care they will can and will produce baby spider plants that you can share with friends or family or pot in other areas of your home. Spider plants like moderate watering which means keeping the soil moist, not wet and do not allow it to dry out. This plant is practically kill-proof. It prefers drier conditions and will work well in bright to partially dark areas. It is a slow growing plant, so good for folks who are in it for the long haul. This plant prefers dry soil so allow it to be mostly dry before watering. Take care to water direct to the soil and avoid wetting the leaves. Aloe vera comes in a multitude of varieties from small to large. The common aloe (aloe barbadensis miller) is one of 100s available and is one of the two types of aloe; green and blue. 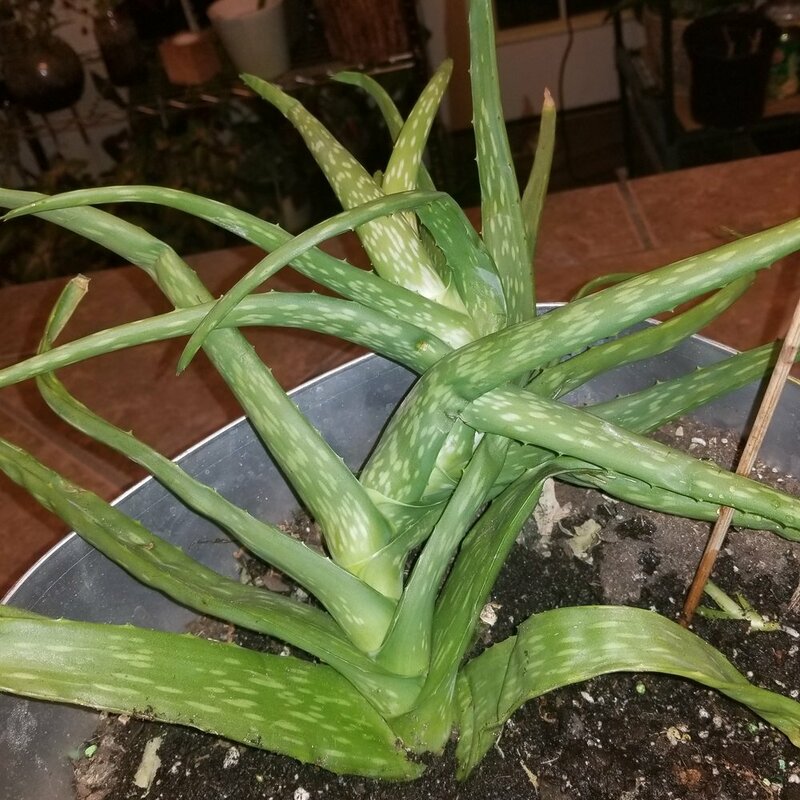 Either way, aloe does better in dry conditions and prefer soil similar to that of cactus. They do not like to be standing water of any sort. The top 1-2 inches of soil should be dry before watering again. Aloe also does not like direct sunlight. If you find the leaves turning orange or brown, move it to a bright are out of direct sunlight. All of the plants listed are my personal plants. If you found this information helpful, please fill out the interest form for future information. I promise I will not spam you. You can also follow me on social media as Bytes and Buds. WAIT! Don't throw those used coffee grounds in trash! Do your part for the environment and recycle them in the ways that make you happy double time! Plant and boost seed production - Mix your carrot and radish seeds in with coffee grounds for easier sowing and to give these acid loving veggies a boost. You might even double your harvest with this trick! Try it with other seeds too. Clean grease - use a little bit of the grounds to those tough pots and pans to help remove grease. Make sure that you do not try this on non-stick pans as they have sensitive finishes. Remove odors from hands - After some smelly items like fish and onions and even outdoor odors you can use coffee grounds to minimize the smell. Rubbing the grounds on your hands before the soap helps to absorb odors. Add some liquid soap and now you have a DIY scrub! Deodorize the garbage disposal - instead of tossing them in trash, put them right in the disposal. You can even let them sit a bit to absorb and mask odors. Deodorize the freezer/refrigerator - Have something smelly that you found after weeks, but still can't get rid of the smell. Place a small bowl with coffee grounds in overnight. To give it an extra boost add a couple of drops of vanilla extract to the mix. Keep worms alive - Whether you use them for your garden and composting or for fishing, mixing the grounds in with the soil makes for a happy and healthy worm home! If you have more useful ways to use coffee grounds in your home or garden, please share in the comments below! Facebook is like your online journal. You put all your highs and your lows, your laughs and your cries here. Learn how to save all this precious data here!